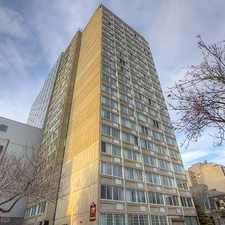 The rent at VIE Apartments ranges from $1,294 for a studio to a $3,069 two bedroom. 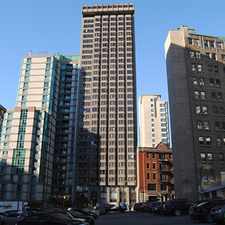 Apartments in this building are about 18% more expensive than the Ville-Marie average. This is a pet-friendly apartment. This apartment is in the Ville-Marie neighborhood in Montréal. Nearby parks include Parc Shaughnessy, Jardin des sculpture and Place Henri-Dunant. VIE Apartments has a Walk Score of 99 out of 100. This location is a Walker’s Paradise so daily errands do not require a car. This property is ideally located in the heart of Montreal's Shaughnessy Village, featuring a variety of shops, restaurants, schools and more. VIE Apartments features a variety of bachelor, 1 bedroom apartments, and 2 bedroom apartments for rent in Montreal. With sought after amenities such as a rooftop terrace and penthouse level indoor pool residents are sure to be happy to call these buildings home. Explore how far you can travel by car, bus, bike and foot from VIE Apartments. VIE Apartments is a Rider’s Paradise which means world-class public transportation. VIE Apartments is in the Ville-Marie neighborhood. Ville-Marie is the 2nd most walkable neighborhood in Montréal with a neighborhood Walk Score of 91.